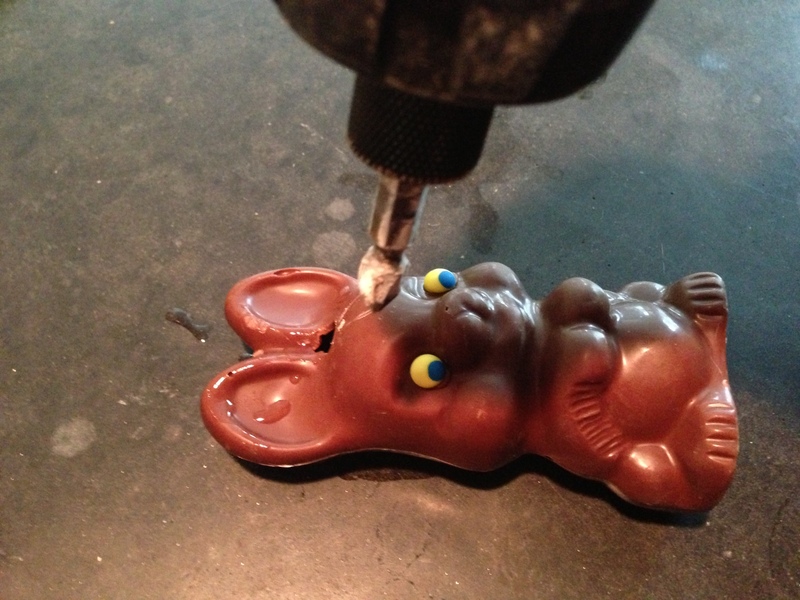 The Drinking Girl’s Guide to Hell: Bye Bye Bunny! Well, Jesus has risen from the dead again, and I still can’t seem to get out of bed before noon. Of course, he didn’t stay up till all hours waiting for that cute cat-shaped kleenex box to go on Midnight Madness sale at mypointlesslife.com. If he had, he would definitely have popped a few extra ambien afterwards and taken the day off. Cause in today’s get-ahead world, self-sacrifice is a little more complicated than just turning your blood into wine. That I can do any night of the week, as those nice folks at the DMV lock-up can attest. 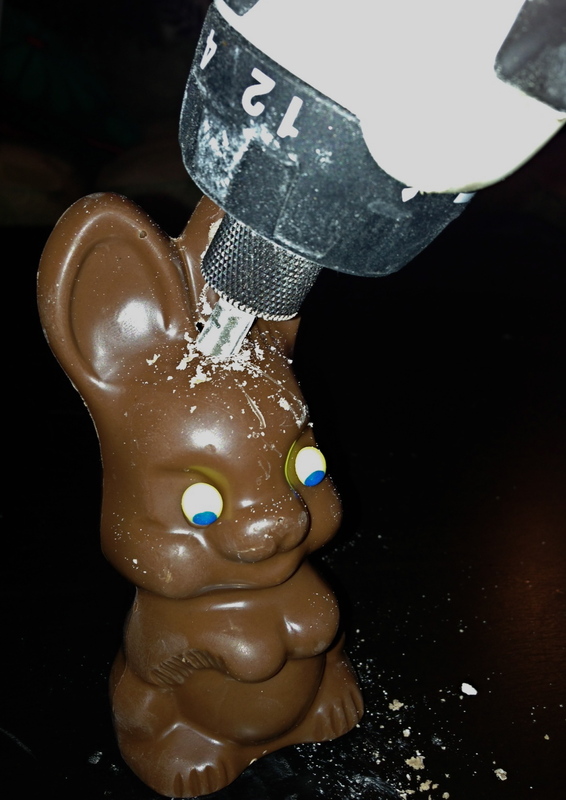 Speaking of half-priced Easter candy, I’m sure you’re looking for a clever way to use up all those leftover Khock-o-Lite flavored treats from the deformed bunny bin. Here’s a post-holiday snack that will make you the talk of tomorrow’s police report…. and all you need are a few common household items, nerves of steel, and the rest of your fingers! If you think it’s a piece of cake looking after a kid who hangs out with lepers, smashes everything in the marketplace, and expects to dwell in His Father’s house for all eternity rent free you’re wrong! Mary doesn’t have that all-suffering look on her face for nothing. 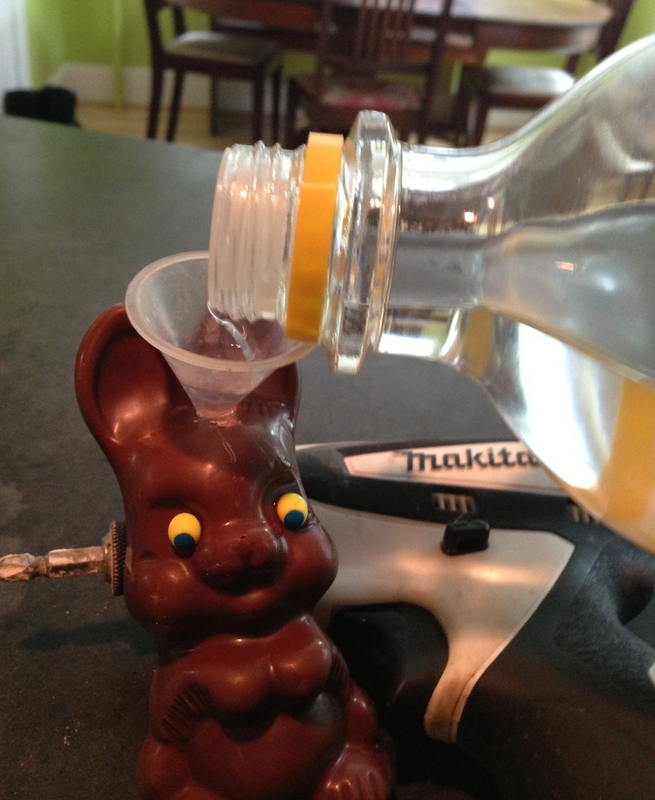 If I were her, I’d put my feet up and teach the little hellion to stir me up one of these tasty Easter bunny cocktails. Might as well get some use out of those expensive carpentry tools he was so into for about five minutes and then never took out of the basement again. 2. 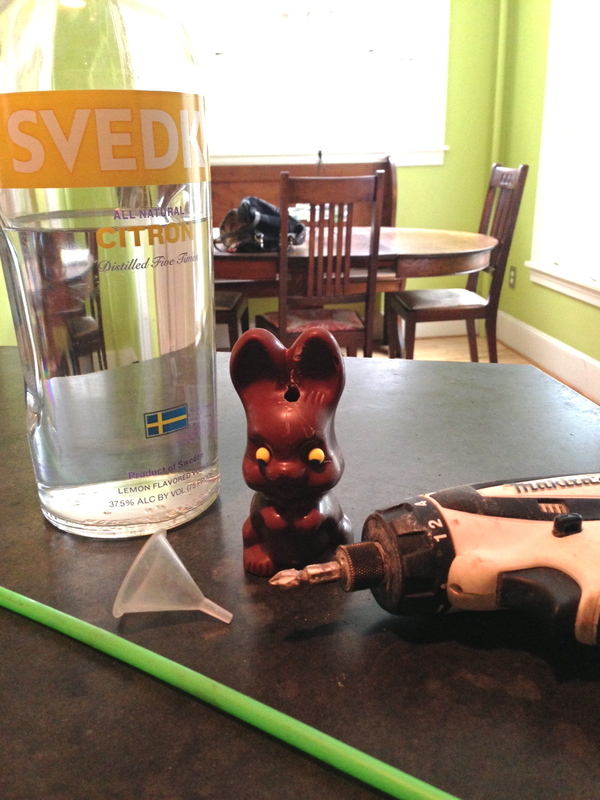 Insert funnel in hole and slowly pour vodka into bunny. 3. Insert straw and enjoy. Oh my god! That was so not hard! I’m feeling very hopeful about the Vodka ‘n Peeps casserole in my slow cooker, especially now that those scary sucking noises have stopped. Tomorrow: Spring cleaning… by court order or just for fun! 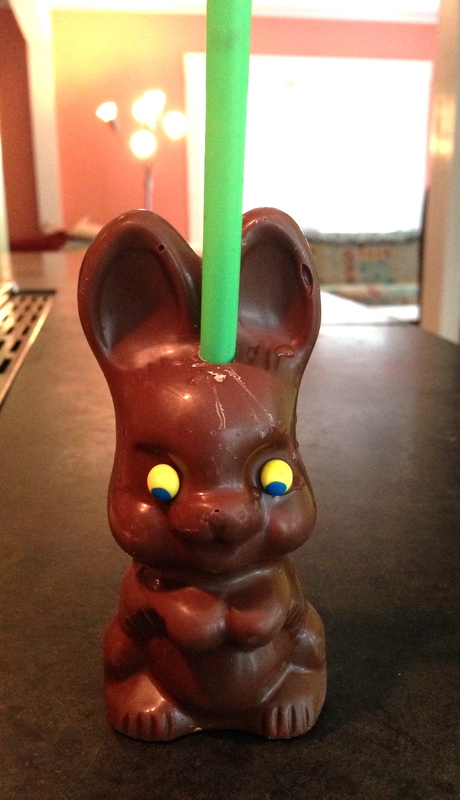 This entry was posted in the drinking girl's guide to hell and tagged chocolate bunny, chocolate bunny cocktail, chocolate bunny drink, cocktails, drinking, Easter, Easter Bunny, leftover easter candy. ← The Drinking Girl’s Guide to Hell: Valentine’s Day Photo Essay!